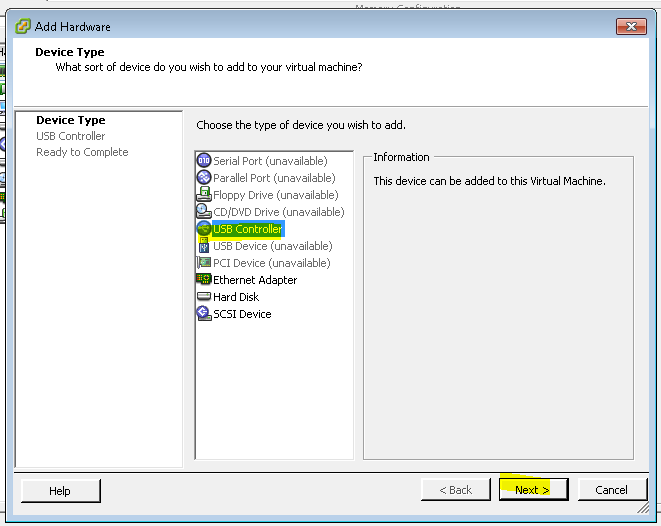 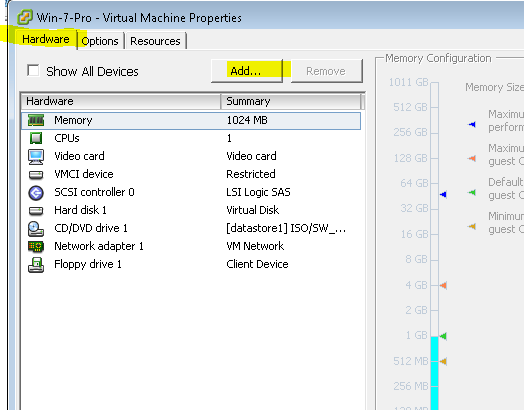 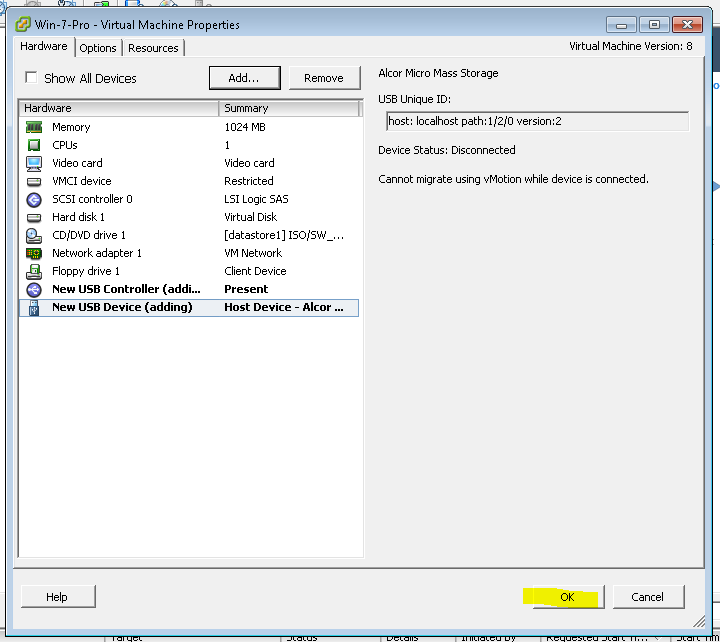 I need to set up my ESXi 5.0 server to allow USB passthrough to the virtual machines. In short I want to attach a USB hard drive to the physical ESXi server and have it show up in the Virtual machine as a mounted usb hard drive. 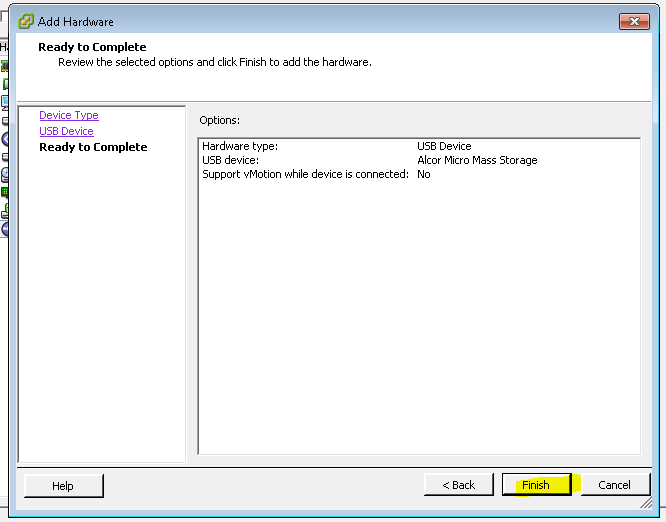 To do this first make sure your CPU and hardware support intel VT-d technology. 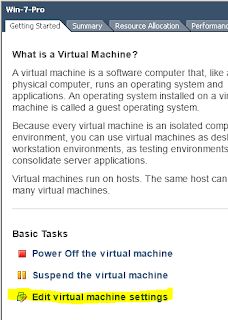 I have a CPU that has VT-x which does help with Virtual machines but you need VT-d to get I/O support to your virtual machines. 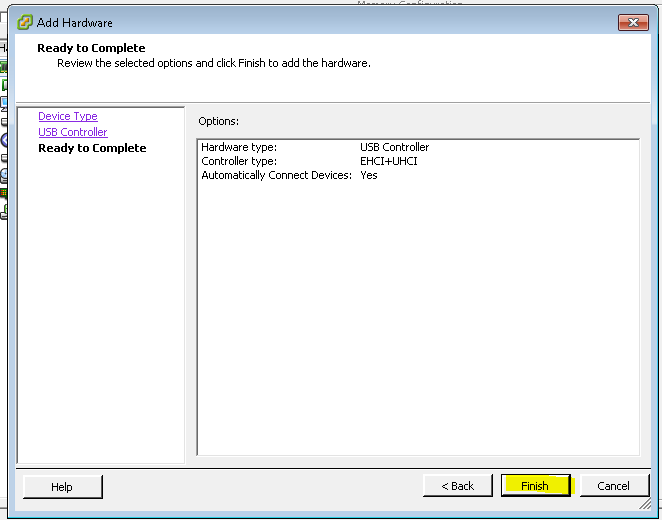 The particular machine I am working on has a xeon E5530 processor which if you go to its product page http://ark.intel.com/products/40200?wapkw=E5520  and look around you will find this. 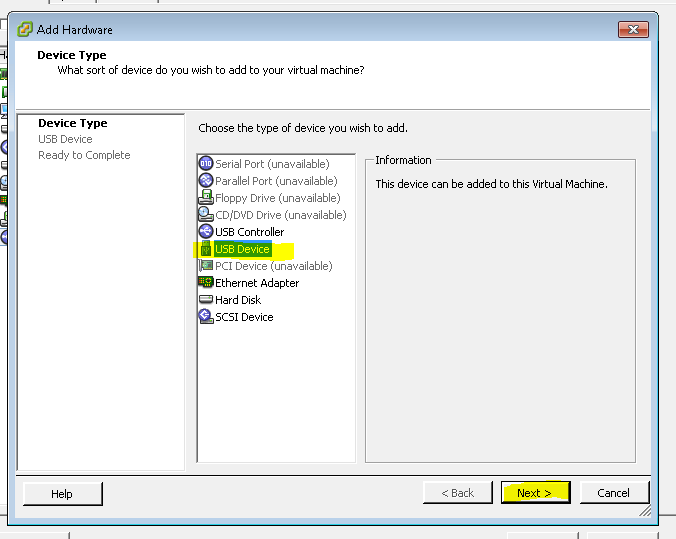 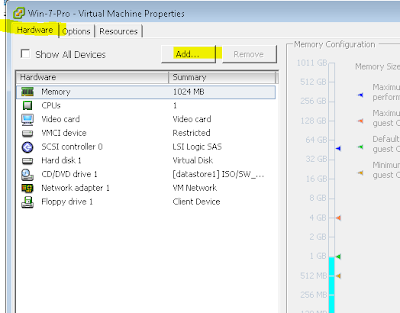 Now that you have vt-d enabled open up VSphere Client. 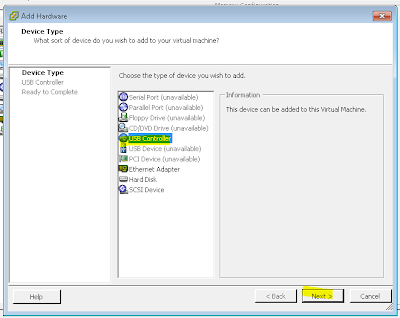 Click on the Configuration tab then select Advanced Settings on the left hand side and finally click on the Configure Passthrough. 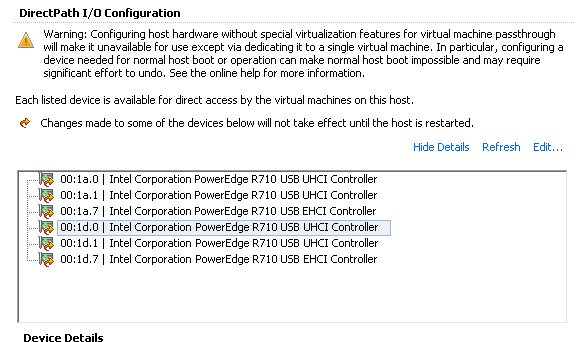 If for some reason the “Configure Passthrough” link is not working and grayed out this may mean that you do not have vt-d enabled. Check box all the USB controllers and click OK.
Now you should see all the USB controllers show up. After that is done, you may need to do reboot, I did not. 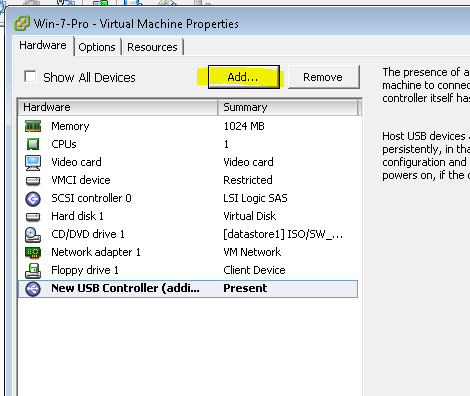 At any rate after that is done I want to attach this USB drive to a Win-7 Virtual machine I have running on the ESXi 5 server. 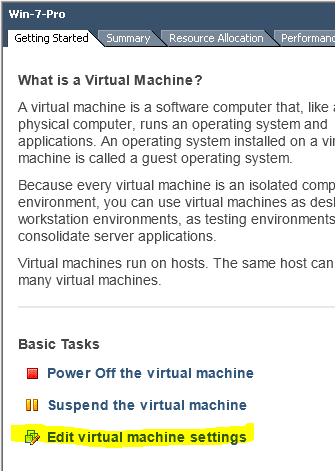 Select the server then click on “Getting started” tab and select Edit the virtual machine. 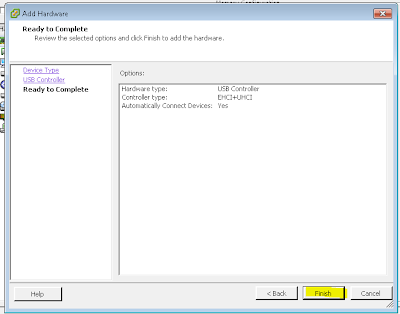 Select EHCI+UHCO and click next. 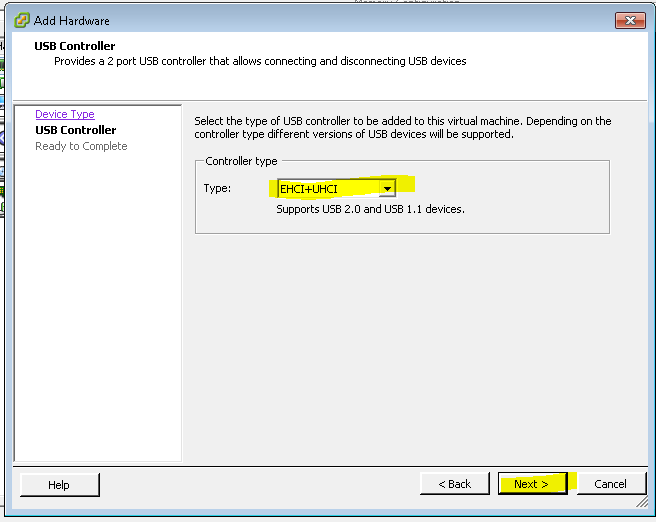 Any available usb device will show up. 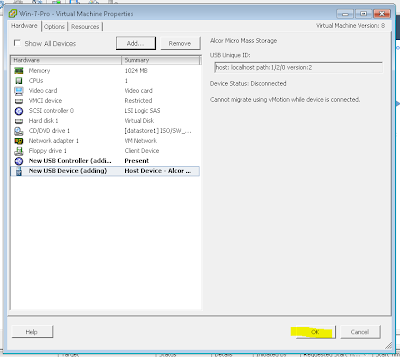 Here I attached a small hard drive. 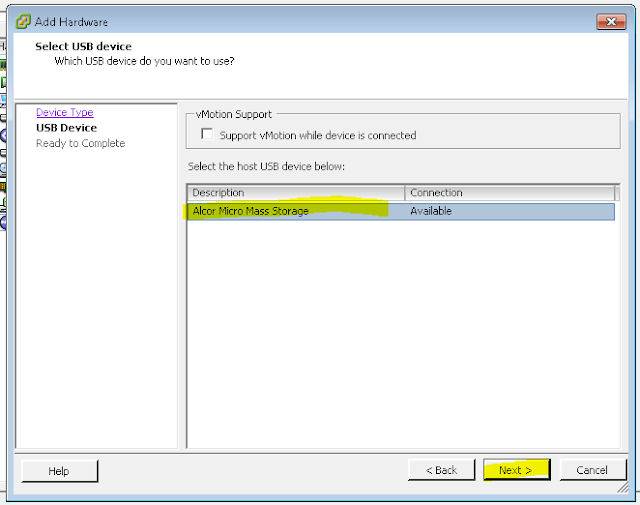 Select the usb device you want and click next. 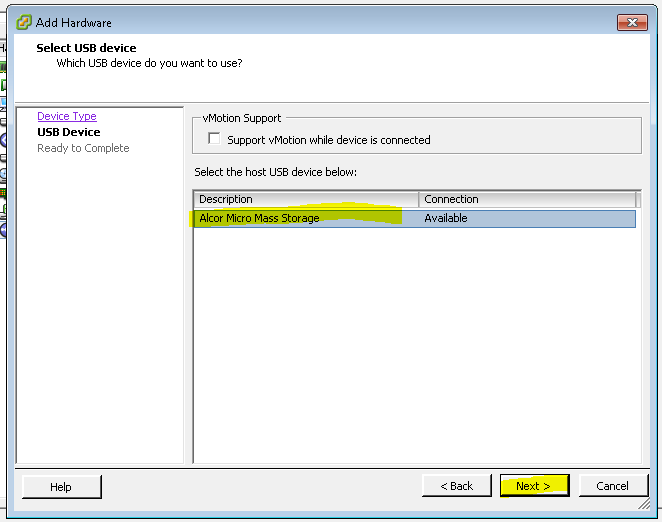 And since it was a USB hard drive it quickly show up as a mounted hard drive and is usable!